In the first part of this “series” I talked about the state of the comic industry that Malibu was born into. In the second part I talked about my personal path prior to the birth of Malibu. 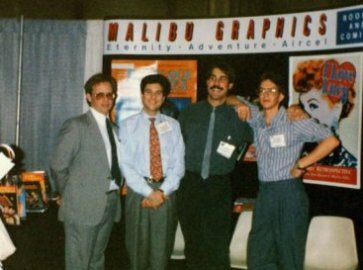 In the third part, I talked about 1986, the year that Malibu was born and some of the things that came together at Sunrise Distribution that would be instrumental in Malibu’s success. In part four, I’m going to talk mostly about Tom Mason. 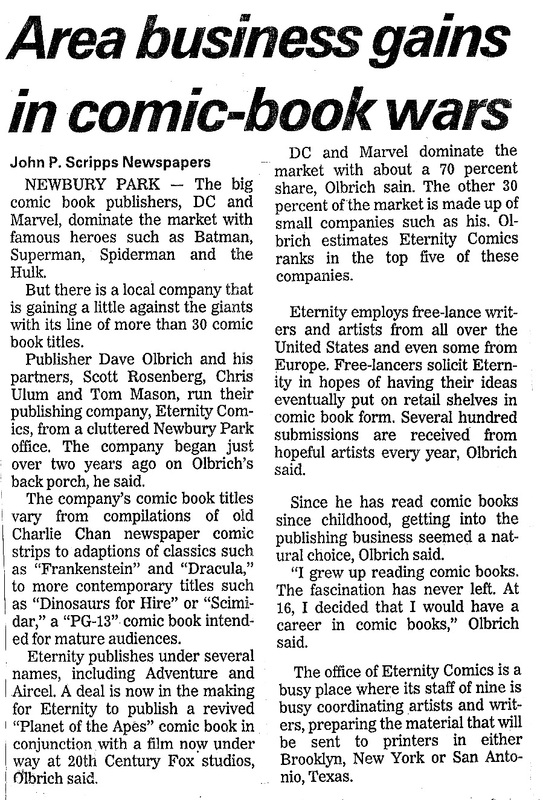 I’d met Tom the first day I worked at Fantagraphics Books. 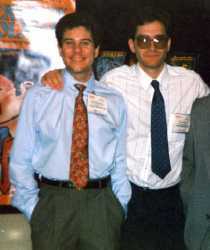 I had been hired to be the managing editor of Amazing Heroes magazine. 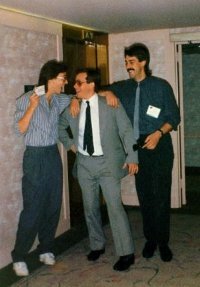 That first day on the job in Connecticut, I was introduced to Tom, who was the art director for Amazing Heroes. We worked together closely. 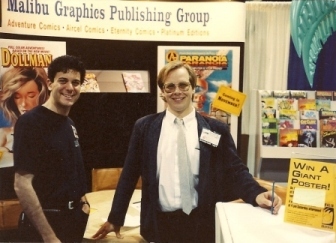 We became friends in Connecticut and when Fantagraphics Books move to Sourthern California, both Tom and I were along for the ride (and keeping our jobs). Before we get started with this Fanatic installment of the earliest days of Malibu Comics, let me remind everyone reading this that I encourage blog reader participation. Post a comment, start a dialog, ask a question. We even have a special feature to get your questions answered called “Ask The DWO.” My name is David W. Olbrich and so, DWO is both my initials and a nickname that I’ve used since the it was given to me by Tom Heintjes during the time we worked together at Fantagraphics Books. I’ve grown to like it. So ask me any question that you might have. I can’t guarantee the quality of the answer, but I can promise an answer. Just label it “Ask The DWO” in some way and I’ll turn my attention to it … now on with the show. 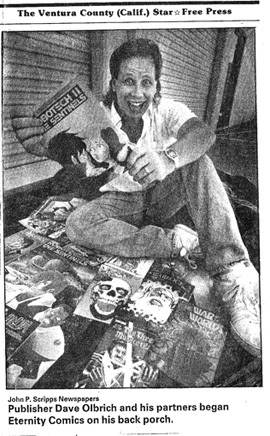 In this post, I’m going to begin to go over my personal path to becoming Publisher of Malibu Comics. Maybe others will be able to relate to my personal travails, we’ll see. But first (as they say in the trade) some housekeeping. This is a good time to remind all readers (and there seems to be a bunch more now than there were a few weeks ago) that Funny Book Fanatic has a standing offer for readers to ask me questions. I call it “ASK THE DWO” and in the past I’ve managed to answer some interesting questions about: comic characters with fur, the Comics Code Authority and Dale Keown’s work at Aircel Comics. If you want some tips about what you might ask me, check out the Background page. There are also a lot of activities for fanatics visiting here, especially if you page down, reading all the cool stuff in the right hand sidebar.